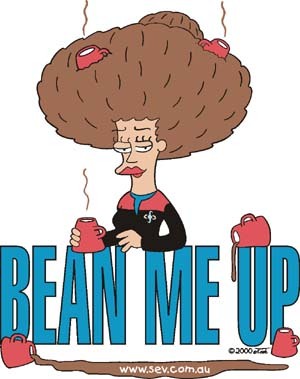 The Bean Me Up T-shirt is a 5-colour design featuring a huge caricature of Captain Gainweight along with her favourite beverage. This is actually the largest design of all the Sev Trek T-shirts. Ideal for coffee drinkers!